HEALIOS® helps promote and maintain the health of the epithelial cells and mucosal tissues of the the mouth, throat, esophagus, and digestive tract. This is a common need of those who have difficulty swallowing because of chemotherapy or radiation treatment. 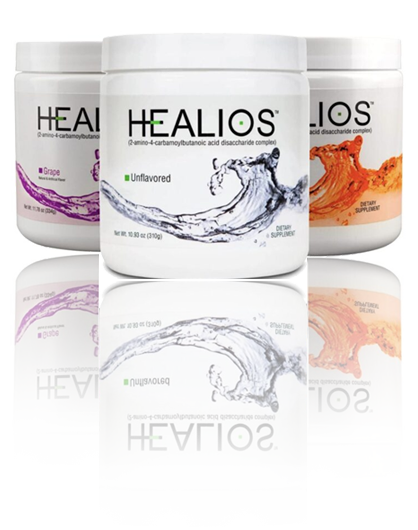 The benefits of supplementing one’s diet with nutrients found in HEALIOS® have been clinically demonstrated. Easy to use ~ Just mix, swish and swallow! Healios is exclusively sold online. HEALIOS® dietary supplement is a liquid nutrient suspension designed to promote and maintain the health of the epithelial cells and mucosal tissues of the mouth, throat, esophagus, and digestive tract. Mix one scoop (~11g) with 50-100ml of water, swirl in mouth then swallow. Be sure to drink slowly. Take twice per day. Once in the morning,and once at bedtime. For best results, take after meal.